This 360 page, full color volume is the follow-up to last year's omnibus collection Aya: Life in Yop City, which collected the first three, previously published, volumes in the series, Aya, Aya of Yop CIty and Aya, the Secrets Come Out. This time around we get to go straight to the omnibus collection and the fantastic value if offers. 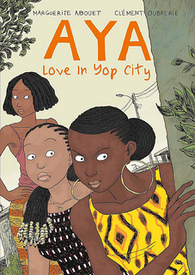 The three volumes are contained in Aya: Love in Yop City are published here for the first time in English, and represent the conclusion to this exuberantly written and lushly illustrated series of life in the Côte d'Ivoire during the 1970s. Written by Ivoirian native, Abouet and illustrated by her French husband, Ouberie, the Aya books have met with great success in their homeland of France, including taking home an award from the Angoulême Festival, and there are plans for a film version. Anyone not yet familiar with this series would do well to take a taste via this PDF preview. 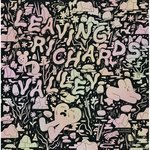 This is a great series!